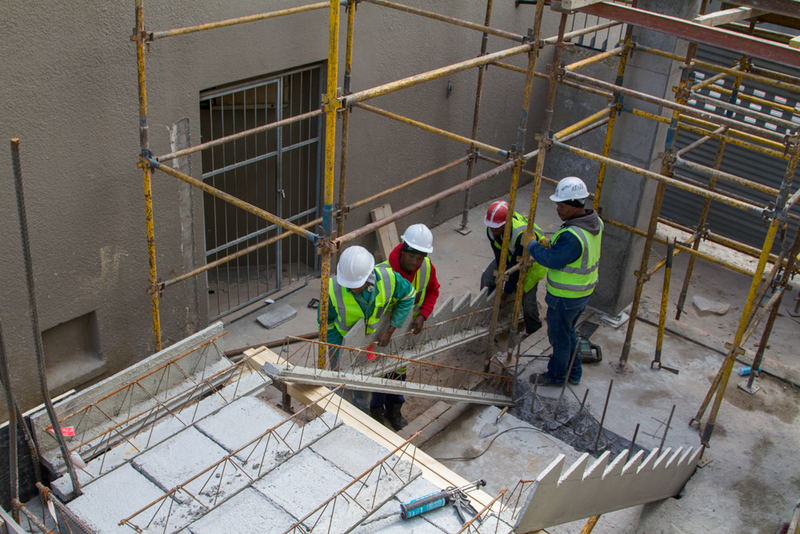 The elements of the Cobute precast slab ( panels and ribs) and beam system allow for manufacturing of a precast permanent shuttering for staircases, along with the use of precast risers and treads. The Cobute staircase is modular and has no measurement constraints, satisfying any job specifications, many shapes (such as dog-leg, U and L shaped among many more) and landings, except for the round ones. 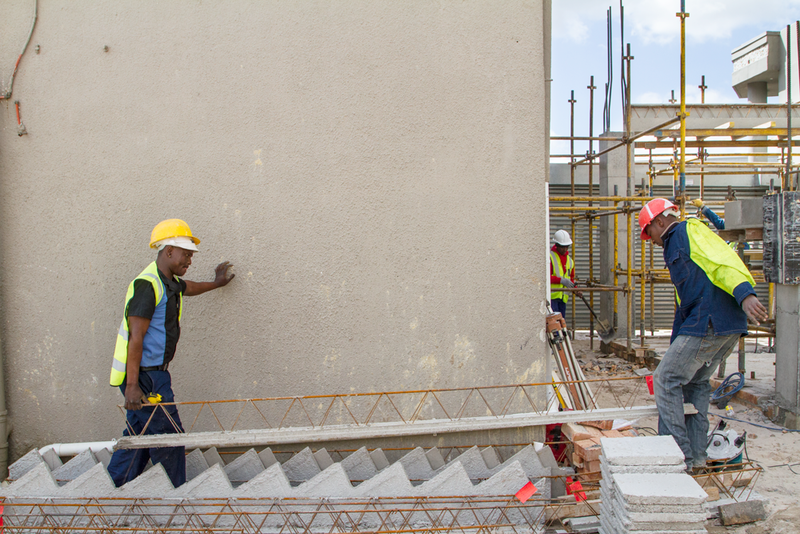 As per the all the Cobute Precast slab and beam systems, only minimal shuttering is required. The Cobute stair consists of 5 elements, light to handle and easy to install on site. The left and right girders form the R.C. 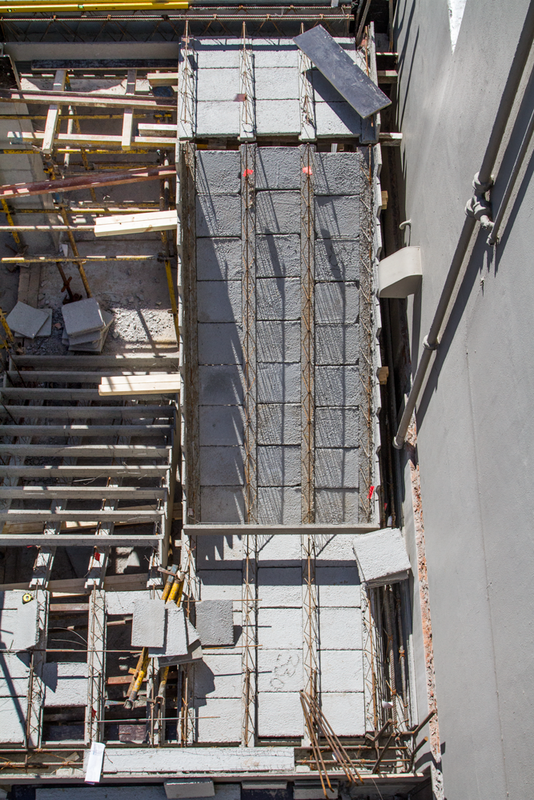 frame of the element, which is then filled by precast ribs and panels. Before casting, risers are installed. 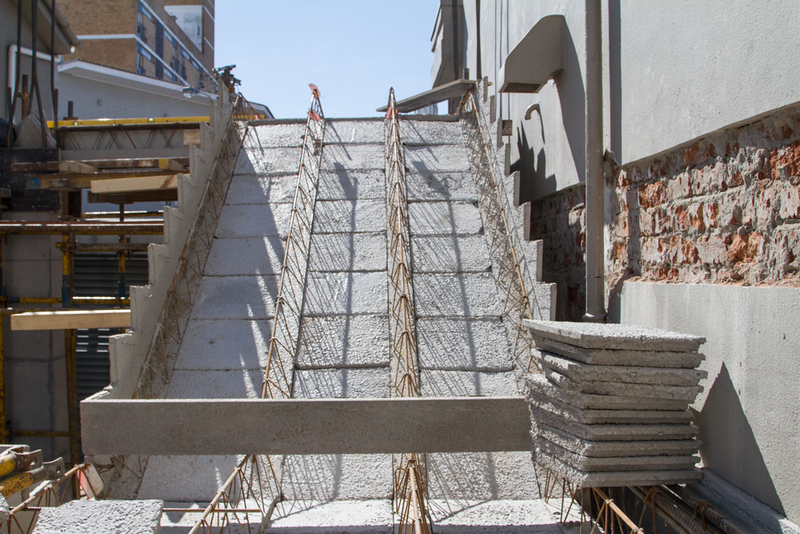 Each staircase is custom- made according to the job requirements; a straight flight of stairs can be installed, ready for casting, in roughly 2 hours by 4 labourers. Why choosing the Cobute shutters for stairs? When the Cobute elements are integrated, the project can be cast in only one pour, minimising risks of cold joints and cracks, with concrete savings. Check our tooltips section or get in touch by hitting the button below!